There are currently 115,825 users on this website. Both coins are the same diameter. The brighter silver coin is .125 thick.the most noticeable difference is the position of the eagles head on reverse. Something tells me their both counterfeit. Any thoughts on what else to look for. Sorry, we'll need much better pics, including full images of both sides of each coin and sharp close-ups of areas that concern you. And please crop them before uploading. As mentioned, full cropped and oriented photos of both Obverse and Reverse are required. 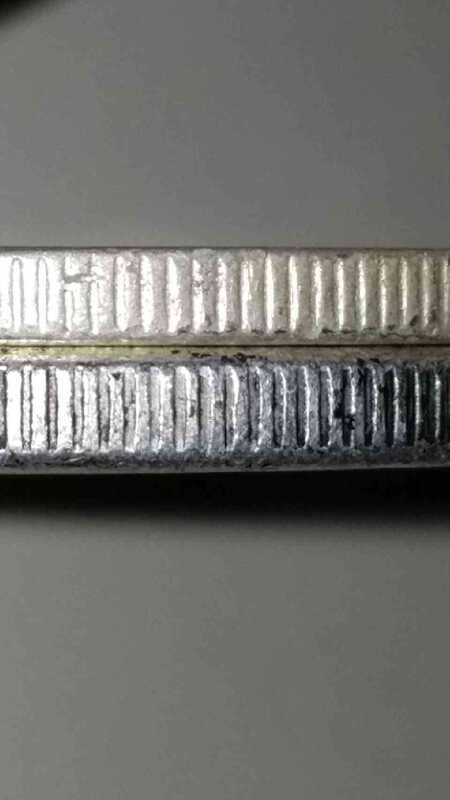 The date and MM are sometimes the most obvious way to determine a counterfeit. Trying to add more pictures. Must be doing something wrong. 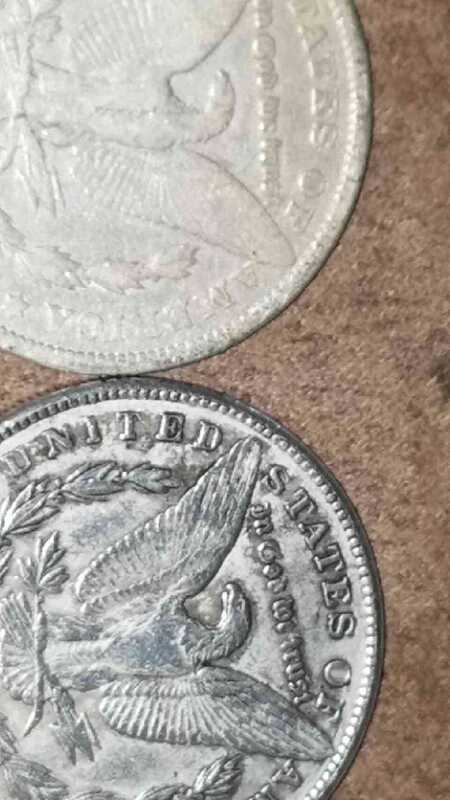 The things that bothers me about Pics is color of bottom coin (It's Grey) that usually indicates alot of Nickel or other metal besides silver. Then the space between left wing and neck, I haven't seen a "V" shape before. Usually it has more rounded bottom. But as the other members have stated full Obverse and Reverse Pics would be nice. The first picture looks cleaned real morgan and the 2nd. picture looks like maybe a fake but as others have said we need more pictures and the weight's too !